DES MOINES, Iowa — More than 40 years ago, a scheduling quirk vaulted Iowa to the front of the presidential nominating process, and ever since most White House hopefuls have devoted enormous time and money to a state that otherwise would get little attention. For most of Iowa’s history, activists have gathered in the winter to deal with politics, but no one outside the state paid attention until 1972, when Democrats established their caucuses in January. That made the party’s presidential preference vote the first in the nation, and candidate George McGovern, encouraged by his campaign manager Gary Hart, took advantage by campaigning in Iowa and finishing a stronger-than-expected second place. McGovern’s showing helped propel him to the Democratic nomination, and four years later it did the same for a little-known governor from Georgia, Jimmy Carter. The Republicans joined Democrats with the early caucus date in 1976. 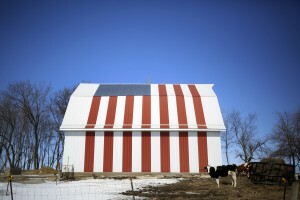 Since then Iowa has drawn more candidate visits and media attention with each campaign. The Democratic and Republican parties hold their caucuses at the same time — this year starting at 7 p.m. CST on Feb. 1 — at spots in all of Iowa’s 99 counties. Caucuses are held in each of the state’s 1,681 precincts, but the number of meeting sites is smaller because some precincts share buildings. Democrats will meet at about 1,100 spots and Republicans will gather at nearly 900. Voters from some small precincts meet in homes, but most join in schools, veterans’ halls and other large venues. The parties hold their caucuses simultaneously, but they operate differently and their results have different meanings. When Democrats attend a caucus, they break into groups that publicly declare their support for a candidate. If the number of people in any group is less than a 15 percent viability threshold of those attending the caucus, they typically can either choose not to participate or can join another candidate group. That leads to some intense wooing and sometimes confusion as candidate representatives try to persuade others to join them and prevent their supporters from switching to another top candidate. Once the groups are determined, the number of “votes” is determined by running the number who support each candidate through a formula that determines final votes based on a county-by-county analysis of Democratic performance in the last governor and presidential elections. Besides determining which candidate wins the caucuses, the results are the first step in determining delegates who are expected to support candidates at the national convention. For Republicans, it’s a much simpler matter of giving supporters of each candidate a chance to give a brief speech, then privately marking ballots. The ballots are counted, then communicated by a local caucusorganizer to the state party via a new smartphone app, developed for both parties. Even though it’s a vote, it’s not binding for Republicans, who determine delegates at county and district conventions later in the year. All the candidates hope to win the caucuses, giving them a boost of attention as they shift focus to the New Hampshire primary eight days later. But more than a win, the goal is to exceed expectations. Even if a candidate finishes second or third, he or she can claim a victory by noting they finished near the top and received more support than expected. It’s worth noting that a win in Iowa doesn’t necessarily translate into a party nomination. In fact, the last time the ultimate Republican nominee won a contested caucus was 2000, when George W. Bush finished first. The winner of the Democratic caucus has fared better. In the last three contested Democratic nomination races, the Iowa winner became the nominee. One of the biggest challenges for campaigns can be to get their supporters to caucus sites, and given that this is Iowa, that usually means bundling up in evening temperatures that usually range from the teens to the 30s. In recent caucuses most of the state has seen little more than flurries, and no Iowan would admit to being deterred by a few flakes. Associated Press reporter Scott McFetridge wrote this report.